There are many reasons to feature this game. Apart from the fun it offers, Silversands Casino are also offering a special free bonus on this game (not sure how long this offer will last) whereby you get R100 free to play Ghost Ship Slots with no deposit required. 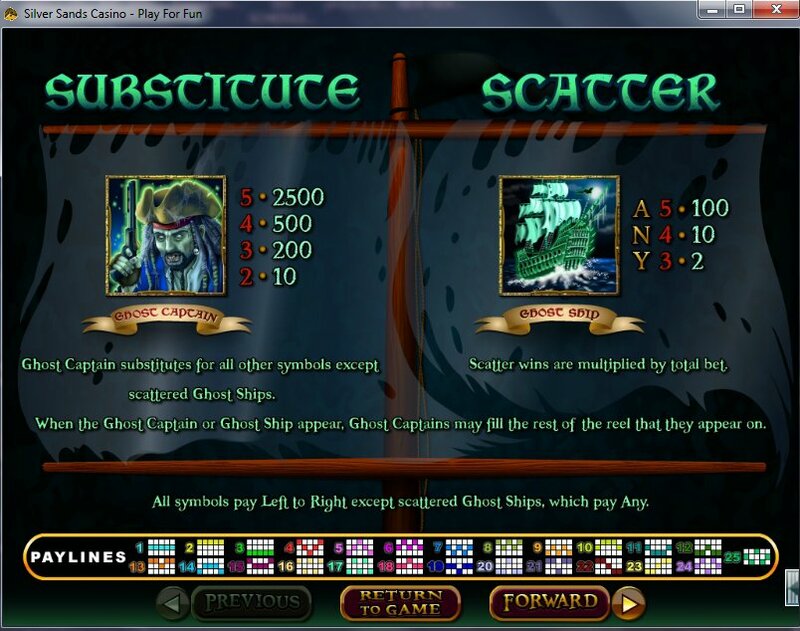 For a quick idea of what you can expect when you play Ghost Ship slots at Silversands Casino, watch the video below. During this video, the feature was triggered. 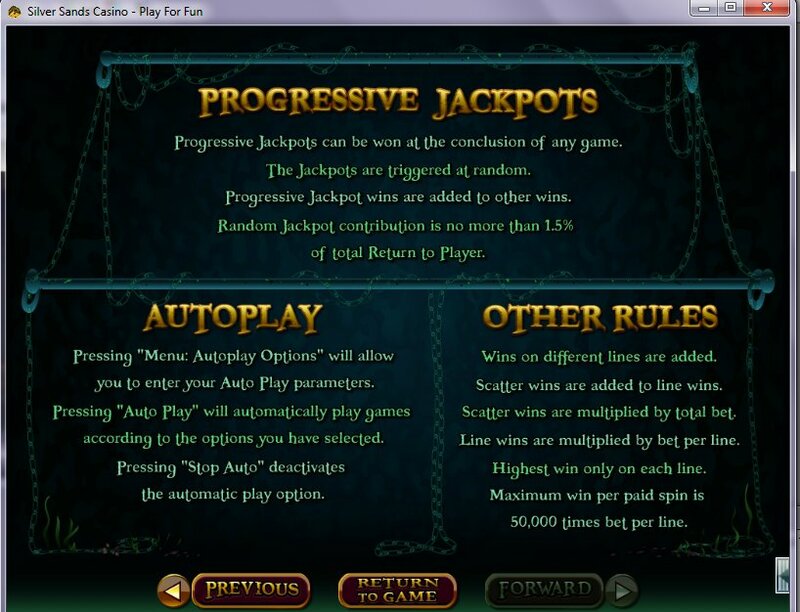 Ghost Ship slots includes Progressive Jackpots which can be won at the conclusion of any game and are triggered at random, which means you don’t have to get any special combinations to win the Progressive Jackpots. 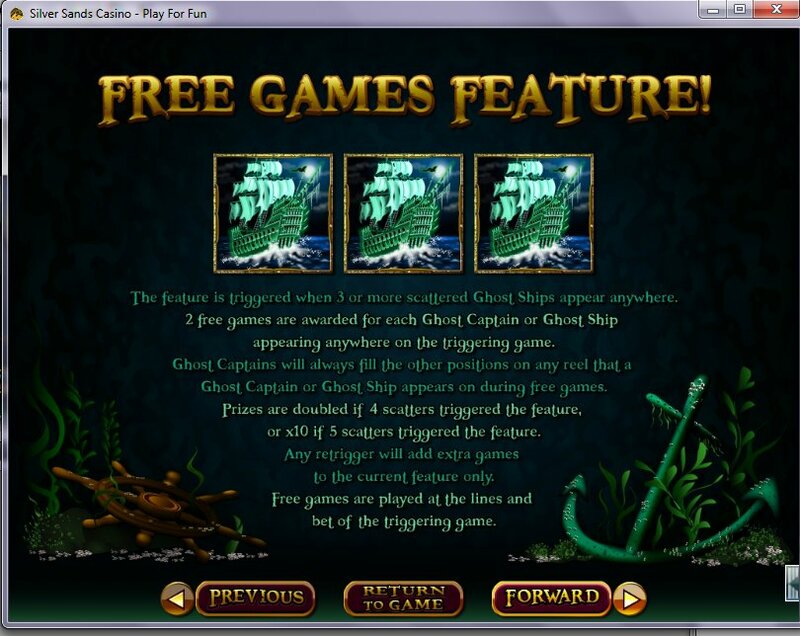 Enjoy the free games feature when three or most ghost ships are scattered anywhere. What makes this so fun is that the more ghost ships that appear, the more free games you are awarded with as every ghost ship (providing you have at least three) gives you two free games. The Ghost Captain substitutes for all other symbols except the scattered ghost ships and when he appears they may fill the rest of the reel they appear on giving you a great chance of getting that big win. 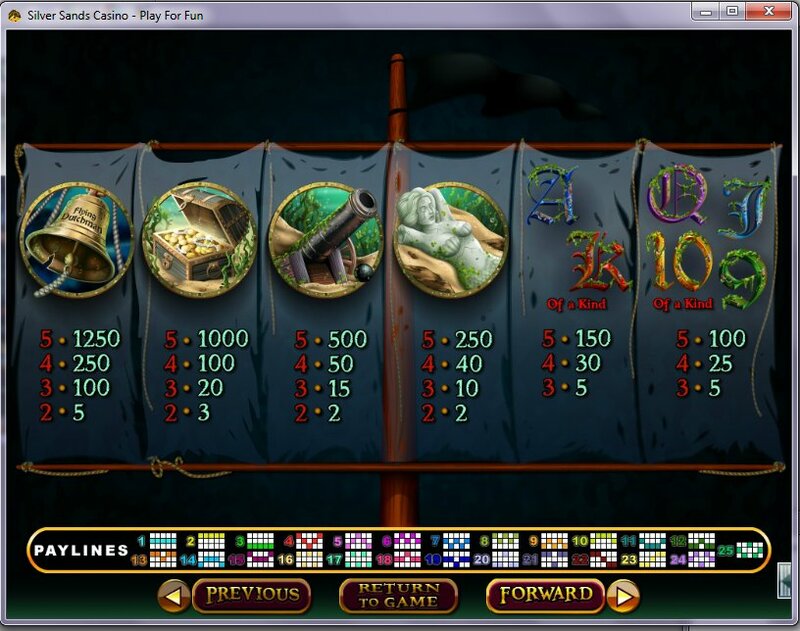 The screenshot below shows you what the different symbols are worth – all this information is available in the Help section of the game if you need to check on anything during game play.